Internet Explorer 6 (IE6) is an extremely outdated Web Browser that is infamous for wasting the valuable time and energy of millions of Web Designers and Developers. 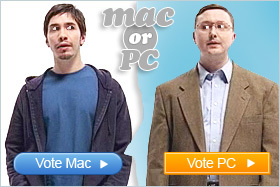 It’s now over ten years old and although its usage is at an all time low, 12% of the world is still using this archaic piece of software. There are numerous websites out there fighting to phase out the use of IE6 and IE6 Countdown is one of them. There are numerous websites out there fighting to phase out the use of IE6, but there’s one in particular that is which is dedicated to monitoring IE6 usage worldwide and educating people about why they should stop using the browser. 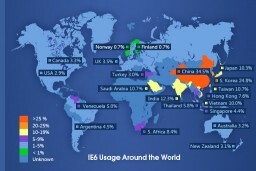 The IE6 Countdown website is dedicated to watching the worldwide usage of IE6 drop to below 1%. This site monitors the usage of IE6 on a country by country basis and plots the statistics on a world map. The site also aims to educated people about why they should be leaving IE6 and using a more modern browser like IE9, Firefox or Google Chrome. At the moment China is the biggest offender with around one-third of Chinese still using IE6. India is another country with a high IE6 usage of over 10%. Most of the more developed countries are using newer web browsers which is good to see. I guess it will just take some time for developing countries to catch up and once they do it will be a great day for web designers and developers everywhere. Let’s hope the progress continues, as I for one wouldn’t miss dealing with IE6 and all its little idiosyncrasies.